Children with Autism often respond to and enjoy music activities. 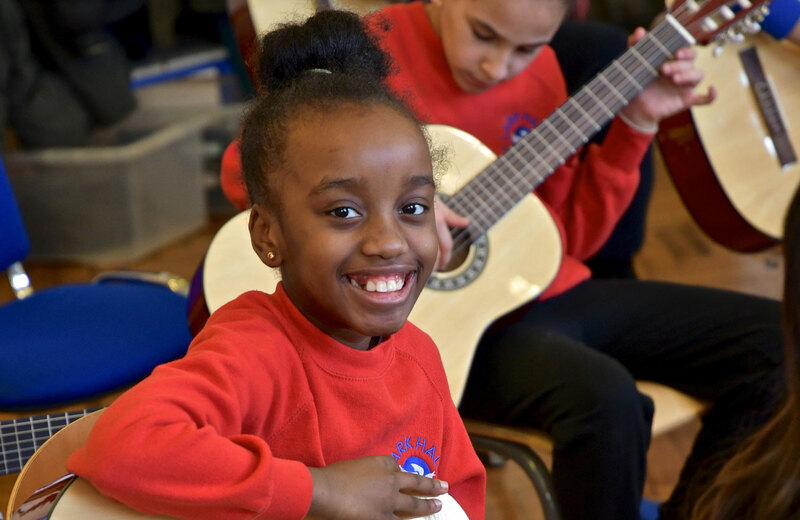 Musical ability is an area of strength for many of our pupils which we aim to nurture and extend. The Music curriculum in the Centre for Autism aims to provide each pupil with an opportunity to participate in musical activities that are both enjoyable and develop their musical skills. As their musical skills develop pupils are taught how to play familiar songs using recorders, keyboards and the glockenspiel. Music therapy is funded from the school’s budget. Music Therapy is the use of music as an agent for personal expression, understanding and change within a supportive therapeutic relationship. Music Therapy aims to develop a trusting, therapeutic relationship in which a child can express themselves freely and feel that they are being listened to, heard and understood. WHO CAN ACCESS MUSIC THERAPY? We offer music therapy sessions to individual pupils on a referral basis.